DOWNTOWN REDDING IS ON THE MOVE! The second Community Workshop will be in September, TBA. It’s not just about the bike lanes. This project benefits pedestrians, drivers, businesses, and property owners too. Downtown is more comfortable for people walking. Everyone walks. Every trip downtown begins and ends with walking. This is why the most important thing to do to create a vibrant downtown is to make it comfortable, convenient, and downright fun to walk! California Street is much easier for people to walk across now and. calmer traffic on Pine makes people feel more comfortable walking along the sidewalk. Improvements created calmer traffic that businesses and residents have hoped for and is in the general plan. Drivers behave more predictably as they drive through downtown. Far fewer erratic lane changes, less speeding. This project conforms to recommendations from the Downtown Specific Plan as well as the 2000=2020 General Plan regarding bicycle facilities, circulation, and linkages between downtown and other areas. Calmer street traffic creates better visibility for businesses. Business owners like calmer street traffic; it’s easier for people to notice their businesses as they drive by. Better for people parking and getting in and out of cars. Businesses have already commented that customers are finding it easier see to park, enter, and exit their cars. The buffer lane gives people space to open their doors and get in/out safely without disturbing passing cars. Improved flow for driving. Drivers report the changes to California Street have improved the ease of driving from California Street through the intersection with Cypress Avenue, and/or South Market Street. Better turn lanes on California. California Street has better turn lanes, especially noticeable at Placer Street. The improvements are especially noticeable for turning by trucks. No added cost: it’s all just paint. The asphalt and striping project was already planned and budgeted. The changes to striping have added a minimal amount of extra cost for paint. It was a highway, and now we don’t need a highway downtown. The streets were originally configured for traffic that is no longer there. Prior to this project, the streets had not changed since they were part of Highway 99, the primary north/south highway through the state before I-5. Traffic on California Street has dropped 27% from 2002 to 2012. Traffic on Pine Street has dropped nearly 20% during the same time. We heard a business owner say: We have six lanes of traffic moving through Redding along I-5; we don’t need that downtown! Peak traffic is only 40 minutes per day, 5 days a week. Living Streets are used by everyone. Peak auto traffic might exist for 40 minutes a day for 5 days a week or less, but people move, work, and live on these streets for 24 hours a day, 7 days a week! It’s safe. The projects are expected to decrease accidents for pedestrians, cyclists, and motorists. Studies of similar traffic calming and bicycle lanes show reduced crashes and increased safety. Increase retail sales and raise property values. Studies of similar traffic calming and bicycle lanes show increases in retail sales. It sets the stage for the future of Downtown Redding. 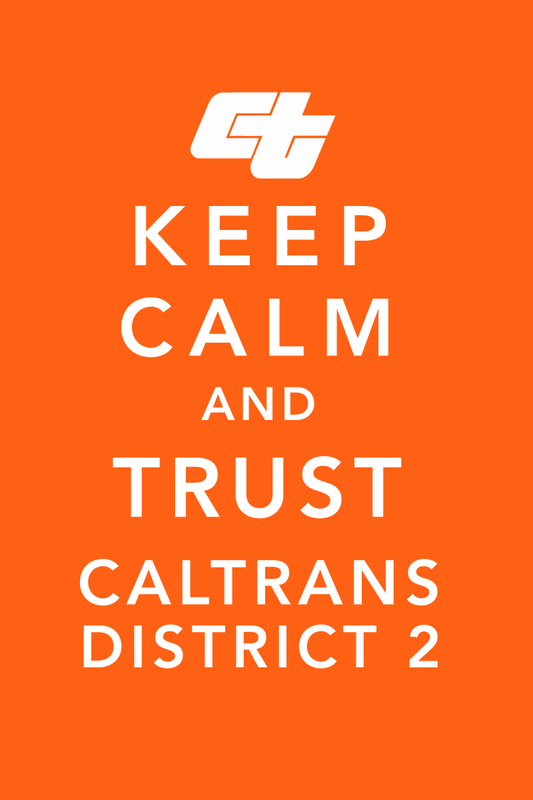 Caltrans will be monitoring results and considering further improvements to be made in five years. Results from these improvements will inform the planning efforts underway now to build a better future for a vibrant downtown. 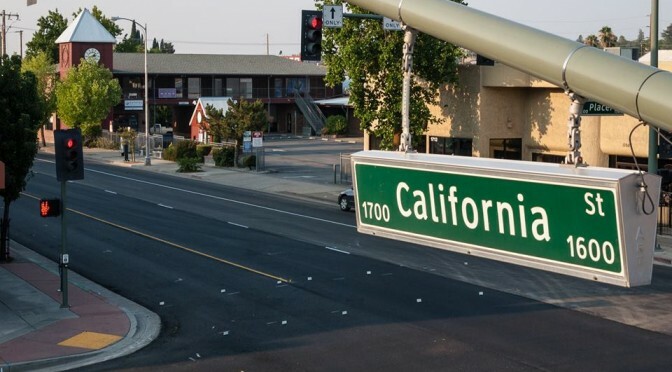 We are grateful to Caltrans District 2 and the City of Redding for making these improvements to benefit businesses and our community. Previous PostBig Bicycle Weekend Featuring the Shasta Jamboree Rides!Next PostBike – Walk – Downtown Redding!